Subscribe to "This Week in History" RSS feed. Over 43 years and still going. The Joshi Mission Project is located in Pani Kumar a small village northwest of Siliguri, West Bengal, India. The project consists of a church, school, and orphanage. www.joshimission.com Ben & Leanna Miller: Ben is our oldest son. He and Leanna are the proud parents of Raymond Howard & Evelyn Rose Miller our first grand children. They have their own web site at: www.benandleanna.com . Ben is an electrical engineer and works for Master Machine Solutions, Inc. Leanna is a stay at home mom and part time teacher. We attend Pathways Church in Appleton. The church is located on Evergreen Dr. near Hwy 47 just north of Hwy 41. Sunday morning service times are at 9:00 am and 10:30 am. Tim (Otis) and Ady Miller: Tim is our middle son. He and Ady were married on August 20, 2006. They have a personal web site at: www.timandady.com. Tim is an entertainer. You can learn more about him on his web site www.timmiller.us. Tim previously did a three year tour with Ringling Brothers and Barnum & Bailey Circus, now is working as part of the Miller and Mike duo. Ady is the head of the children's department at the Marinette library. Students for Christ Europe is a mission outreach to the college campuses of Europe. 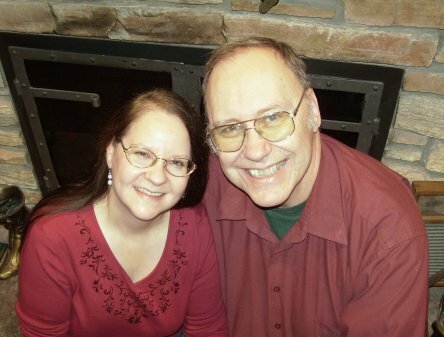 John and Anita Koeshall have been friends since my college days. Visit the virtual zoo of our grandson. He has an interest in animals and insects and has started a zoo with many interesting facts and pictures. History: This page contains American and local history, that I find interesting, and that you may not have learned in school. Miller and Mike have worked as professional clowns and comedy entertainers for years. They have toured the U.S. with Ringling Bros. and Barnum & Bailey Circus . The dynamic duo has also toured international waters as entertainers on the Royal Caribbean Cruise Line. 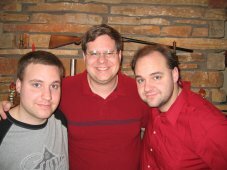 Check out their web site www.millerandmike.com, Miller and Mike know what quality family entertainment is. This is our family tree page. It contain the ancestors and decendants of Howie and Myra. This being an interest of mine, new information is continually being found and updated. This is the Haskins Family page. It contains genealogy and history of the Haskins family. This is currently being worked on so it changes often. This is the 14th year of our contest to predict the Green Bay Packer football season before the season begins. We hope you will have fun with this contest. Follow this link for all the details. Guarantee: We guarantee that everything on this web site is to the best of our knowledge factual or at least the intent is factual. That is of course unless it is not correct, then it is not factual. If you find something that you think is incorrect, either you are more knowledgeable than we are, or you are mistaken. Whatever the case may be, we would be happy to talk about it. Please send any corrections, comments, questions or whatever to: howie@howieandmyra.com We are always glad to hear from people that find our web site valuable, or at least a little interesting.